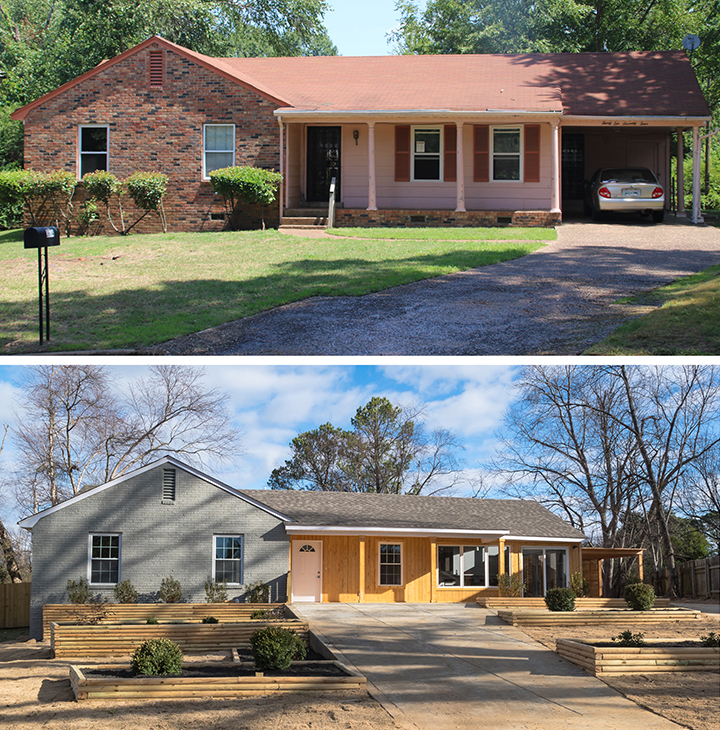 The challenge presented to designers and architects: Remodel an uninspiring, outdated house to create an aesthetically pleasing, functional home that will suit its occupants regardless of how their needs change over time. 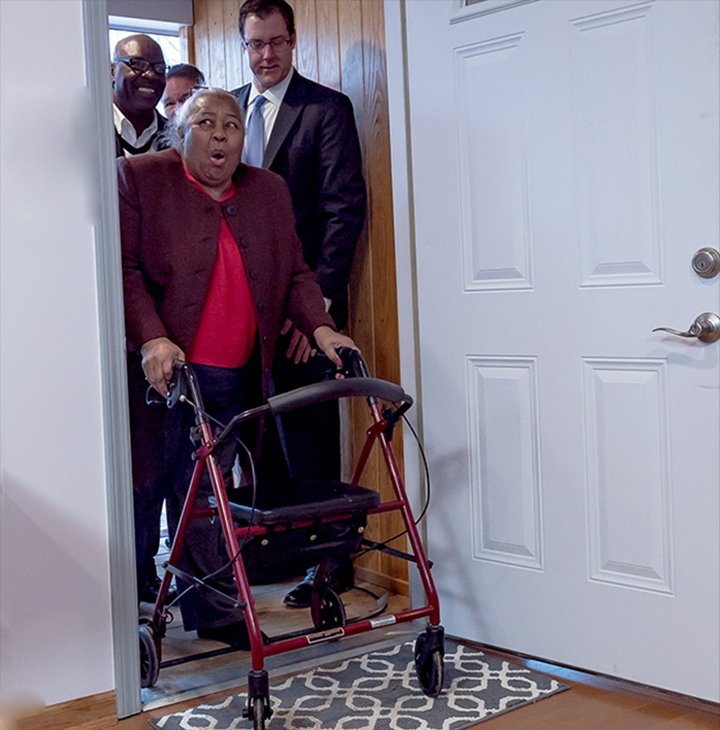 After the house was remodeled into an attractive, adaptable and affordable home, the residence was given to a formerly homeless military veteran — whose mother (pictured upon her first visit) could not believe her eyes. P.S. There’s more about housing, below.